Below is our Choose a Month guide. Or, if you’d prefer, you may download the Complete Guide here. 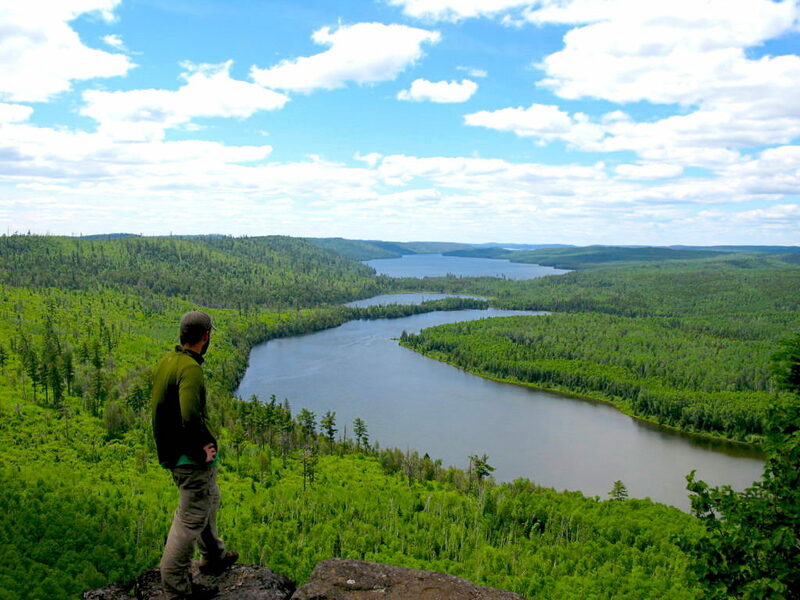 People often ask what time of year is best for a boundary waters canoe trip. The answer depends on you. The height of the BWCA season is July and early August, but this might not be the best time for you. Each week brings out a different aspect of the BWCA. You should match the time of your trip to your group’s interests. We’ve compiled a “choose a month” guide below for all of you first-timers out there. Let us help you determine the best time for your group. May Highs in the 60s & lows in the 40s. Awesome! Fish can be caught in shallow water. The animals and birds return. No bugs! (usually) The water is still really cold. Fishing Opener is always popular. June Highs in the 70s and lows in the 50s. The top water fishing can be amazing. Moose are active. Wildflowers are in full bloom. Bugs are bad the first two weeks of warm weather. The water is warming enough to jump in. School is out and families start to arrive. July Highs in the 80s and lows in the 60s. The warm weather drives the fish deeper. Raspberries and blueberries are ripe for picking. Disappearing – still around at dawn and dusk. Feels great after a day of paddling. Busy season begins. August Highs in the 80s and lows in the 60s. Fishing is good in early morning and evening. If we’ve had rain you can still find berries. Gone during the day. The water is plenty warm. Most popular month to visit. September Highs in the 60s and lows in the 40s. The fish start coming back to the shallows. The colors are changing. No bugs! You’d need to be pretty brave! The crowds are basically gone.